Jimmy Wilde was born 15th May, 1892 in Quakers Yard, Merthyr Tydfil. 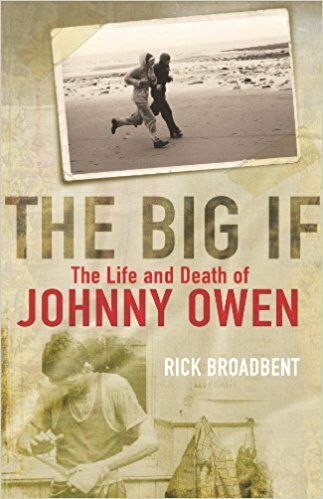 At the age of twelve his family moved to Tylorstown, Rhondda where Jimmy began his working life in the coal mines there. Working in the coal mines built up Wilde's amazing strength for he never weighed more than 108 pounds for any of his fights (his usual weight being around 100 pounds - he never made 8 stone in his boxing career). His physical appearance was extremely deceptive, although so small, pale and frail looking Jimmy Wilde possessed immense courage, blindingly fast hands, knowledge of his chosen art, a punch that many feather/lightweights would envy and perfect timing -using his opponents momentum against them. Pound for pound he is undisputedly one of the most devastating punchers ever to grace a boxing ring, the greatest flyweight of all time and quite possibly the greatest fighter of all time. At the age of 16 Jimmy began fighting in boxing booths. It is estimated that he fought anywhere in the region of between 500 - 1000 fights when including the bouts he engaged in during these boxing booth days. The booth fights would hone Jimmy's skills and begin his legendary status. For he fought hundreds of opponents, mostly all of which were several stones (1 stone = 14lbs) heavier than himself, and indeed fought as many as 25 opponents in one day!! For a day in the boxing booths Jimmy could earn the equivalent to a weeks wages in the coal mines. After building a fantastic reputation for himself in the boxing booths of Wales, Jimmy had his first professional contest against Les Williams in a three round no decision. He then embarked on a series of wins that would later establish him as a legend of the fight game. Notable victories - and there were many - included an eighteenth round knockout of Billy Padden to take the British 98lb championship, a 6 round K.O. of Frenchman Eugene Husson and wins over world title claimants Sid Smith and Joe Symonds (Symonds had previously beaten Percy Jones - the first Welshman to claim a world title). Wilde remained unbeaten for four years and a total of 101 fights ! (including no decisions). They came, they saw and in the vast majority of cases they were knocked out ! Challenging for the British & European flyweight titles, in his 102nd contest, Jimmy Wilde tasted defeat for the first time after his corner threw in the towel in the 17th round against Scotland's Tancy Lee. Wilde had been ill just prior to the fight and was exhausted when his corner threw the towel in to signal the end of the contest. Afterward Jimmy instructed his corner to NEVER throw the towel in again - no matter what. Tancy Lee had stayed away from Wilde's power punches while landing his own and establishing his dominance. Jimmy did not fight for four months after this defeat, by his own standards this was an extraordinary length of time. Once back in the ring he returned to his winning ways. 19 contests brought 19 wins before Wilde finally got Tancy Lee to face him again. There was to be no repeat win for the Scotsman as the Welsh 'Mighty Atom' scored repeatedly with devastating body punches to end the fight in eleven rounds, thereby avenging his earlier defeat and taking the British & European flyweight titles. During the run of 19 wins Jimmy had met and beaten Joe Symonds, for the second time, by way of a 12th round K.O. At the time, 1916, Symonds was regarded in Britain as the World Flyweight Champion. Another claimant to the World flyweight title was Johnny Rosner, but he too succumbed to the power of the 'Mighty Atom' as he was defeated in eleven rounds. However, Jimmy was still not universally recognised as World Champion until later that same year. Jimmy Wilde's destiny was fulfilled when on 18th December 1916 he became the first officially recognised World Flyweight Champion by defeating Young Zulu Kid, of America. Zulu Kid was 3 inches shorter than Wilde and could not match his speed and power, resulting in a battering for the 11 rounds the contest lasted. During the First World War, Jimmy Wilde served as a Sergeant Instructor fighting professionally only twice in 1917 and three times in 1918. One of these fights was against Joe Conn, who was the leading contender for the British featherweight title. Putting on a tremendous performance Jimmy ko'd his featherweight opponent in twelve rounds. His first contest after the Great War was against Joe Lynch who took a hammering for 15 rounds before Jimmy was declared the points winner. Joe Lynch later went on to beat Pete Herman to become World Bantamweight Champion. Wilde went to America in 1919, he toured the States beating an assortment of mainly much heavier opponents. The Americans grew to love Wilde and to this day he is revered by fight fans Stateside. Gene Tunney said of Jimmy Wilde, "He is the greatest fighter I ever saw". In 1959 Jimmy Wilde was inducted into the American Boxing Hall of Fame. 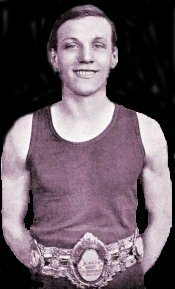 By 1921, Jimmy Wilde was 28 years old, had fought in hundreds of contests (possibly up to a thousand including booth fights) against bigger men and had held his world title for four years. Now he was to suffer only his third defeat (in 128 fights) when matched in a non-title fight against Pete Herman, who weighed in at 121 pounds to Jimmy's 108 pounds. Herman, had lost his World Bantamweight title in his last contest. A rumour circulating was that Herman did not want to risk his title against the incomparable Welshman; but was confident of winning it back upon returning to America. Pete Herman was an accomplished, clever boxer who also packed quite a punch. The weight difference for once was a telling factor against Wilde. Although he had built up a substantial points lead by taking the fight to Herman it was obvious that Wilde was no longer the force of old, quite simply the bigger man was proving too much for Wilde in the latter rounds. Round seventeen saw Jimmy visit the canvas twice prompting the referee to step in to halt the fight. Pete Herman, did indeed go on to regain the World Bantamweight title. Young Jennings was beaten by Wilde for the third time the following month but now the accumulation of so many fights were taking their toll on the brilliant Welsh boxer resulting in his retirement for over 2 years. With the prospect of a big pay day (�13,000) Wilde returned to the ring in 1923 to defend his world title against Francisco Guilledo, of the Philippines - who boxed under the name of Pancho Villa. The fight took place at the Polo Grounds, New York. Jimmy Wilde was a 31 year old champion of over six years standing but was now in serious decline, about to face a 22 year old, hard punching, all action type of fighter in Villa. The fight was over in 7 rounds with Wilde taking a fierce hammering from the youthful challenger. At the bell to end the second round Wilde dropped his arms and turned to go to his corner when Villa landed with a heavy blow to the champion's jaw. Though badly concussed Wilde came out for the third round - clearly in no fit state to continue. The Mighty Atom fought bravely on; but now the odds were insurmountable for the incomparable little Welshman. Round after round Villa punished Wilde; but Jimmy would not give up. Displaying immense courage Jimmy Wilde battled on until finally, unable to see out of either eye and with his face a bloody mess he was counted out in the seventh. Jimmy Wilde had fought one of the greatest battles ever witnessed in a championship fight. Not surprisingly he announced his retirement from the ring after the Villa loss, only his fourth defeat in 149 contests. Jimmy Wilde is a legend. 'The Ghost With A Hammer In His Hand' was inducted into the World Boxing Hall of Fame in 1959; he was also inducted into the International Boxing Hall of Fame in 1990. In a 13 year career he lost only 4 of 149 fights. He is, without doubt, the greatest flyweight of all time. Answers to the question, 'Who is the greatest fighter of all time?' will provide many differing opinions but there is no doubt that Jimmy Wilde is certainly one of the greatest, quite possibly THE GREATEST.